Andre Villas-Boas has taken a lot of criticism whilst he has been in England, mostly as a result of his ill-fated spell as John Terry’s assistant at Chelsea. However, his work at Tottenham is starting to regain him the respect that he garnered whilst sweeping all before him during his one season at Porto. One of the views being put about is that he is quite lucky to have Gareth Bale in the form of his life, but how about the idea that it is because of AVB’s teaching that Bale is achieving the levels that he is? 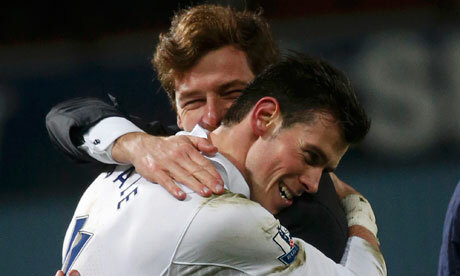 Bale’s explosion in goalscoring form has coincided with AVB moving him in to a central role. In reality he has a roaming license, popping up all over the pitch. He is top of every dribbling statistic in the major five European leagues and he now has the freedom to do that from all over the field. The Wales international has become particularly dangerous from deep central areas, powering straight at defences; see his goals away at Norwich, West Brom and the first at West Ham. His finishing has always been quite good, but out on the wing he had less chance to demonstrate it. AVB isn’t actually the first to deploy Bale in the middle. Harry Redknapp played him in behind the striker a couple of times last season, including a two-goal plunder away at Norwich, but he didn’t stick to it. This was partly because he liked Rafael Van der Vaart in there, but mainly because he liked the two wide pacey wingers to put crosses in to the box. AVB comes from a different tactical school to Redknapp. He deploys his best player in his best position and figures the rest out from there. Even if it means playing him in a different part of the pitch to where he might be expected to play. 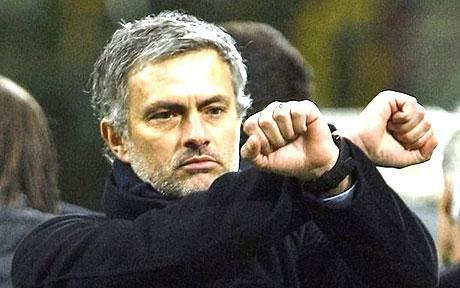 He did the same at Porto with Radamel Falcao. He told him to stay central and let the chances come his way, particularly after a barren start to the season. In his first season in Portugal Falcao had scored 25 goals in the league but just four in Europe. During Villas-Boas’ only season at the club he scored 16 more domestic goals, in only 22 games, but what made his name were the 17 he scored on Porto’s run to victory in the Europa League. When Villas-Boas arrived he made noises that he wouldn’t make any special adjustments to fit around Falcao, but there were subtle changes. He tweaked the Porto system meaning Falcao won the prized berth in the middle of the front three, and this showed the Colombian that he was Villas-Boas’ main man. The same thing is happening with Bale. AVB is nothing if not a relentless worker and something of a football junkie. He meticulously plans his training sessions and his tactical game plans but at the beginning of the season he was struggling to get the best from Bale. It has been a slow transition but he has allowed the Welshman more and more license to get himself in to areas that the opposition don’t want to him to be. Where do they least want Bale? Running straight at them through the middle of the pitch. Where do teams least want to see Falcao? Lingering around in the box waiting to pounce on anything that comes his way. These meticulously planned training sessions are a big factor in helping these players attain their maximum potential. Bale is the type of player who would spend all day on the training ground if he could, and having an innovative and thinking coach like AVB who is able to provide him with different challenges and stimulus every day is something that he buys in to. His work ethic has been compared to Cristiano Ronaldo and the fact that he has such a good coach and teacher is what is taking him on to another level. After his spectacular season at Porto, Falcao headed to Atletico Madrid for £35 million, full of confidence and with the reputation as one of Europe’s hottest strikers. He has only continued on from there and is now considered amongst the top three pure strikers in the world. Tottenham fans will be hoping that the AVB affect won’t end with Bale, but it is clear that as a coach and teacher Villas-Boas knows how to take very good players and make them some of the best in the world. As with any international tournament, a raft of players impressed at Euro 2012 and are now subject to transfer attention. One such man is Portugal’s Joao Moutinho, who starred in the Iberian nation’s progression to the semi-finals in Ukraine and Poland. Both Manchester United and Tottenham have been credited with an interest, with a wrangle for the playmaker’s signature looking likely this summer. Sir Alex Ferguson has been in the market for a new innovative midfield general for a number of years now as a potential long-term replacement for the evergreen Paul Scholes. Despite the veteran agreeing to play for another year, surely now must be the time to sign his successor whilst Scholes is still present. With Luka Modric too expensive, Lucas Moura too raw and interest in Wesley Sneijder cooled off, Moutinho looks like an excellent option. The Porto man will have been on most big European clubs’ radars for some time, but his quality was certainly evident and reconfirmed this summer. The ex-Sporting Lisbon man showed a tenacity and work-rate for his country that will have appealed to Red Devils fans, whilst also more often than not being the creator for Cristiano Ronaldo’s chances and goals. At 25-years-old Moutinho is ready for the step up, and a gradual introduction to the United first-team with Scholes in attendance to guide him seems sensible. It will certainly be a busy summer for Tottenham, with new faces and player sales expected. The exit of Harry Redknapp has led to Andre Villas Boas’ appointment, and Icelandic attacking midfielder Gylfi Sigurdsson has been added to the squad already also. However, this summer may finally be the time that Spurs fans have to say goodbye to main man Luka Modric. With the north London outfit missing out on Champions League football for a second consecutive season the Croatian star looks likely to leave, with Real Madrid ready to pounce. Modric’s exit would leave a sizeable creative hole in the centre of the park, with Moutinho the perfect player to fill it. The Portuguese midfielder’s qualities and stature are similar to that of the man he would be replacing, even if Modric does have a slight creative edge. However, if Villas Boas can convince his former Porto charge to swap the Estadio do Dragao for White Hart Lane, the blow of Modric’s departure would certainly be lessened. At a more affordable price than equivalent players on the market, Sir Alex taking an interest and the Villas Boas link, the battle for Moutinho’s signature this summer could be an interesting one. FC Porto have been one of European football’s revelations this season, as Andre Villas Boas’ side have swept all-comers aside domestically and in Europe. The side from the Estadio do Dragao finished third last season in the league, but have had a barnstorming and unbeaten run this campaign, winning the title back at a canter, sealing their victorious fate with a 2-1 away win at nearest rivals Benfica. At the time of writing Villas Boas’ men have won 25 of their 27 games, with a startling goal difference of +51, and the newly crowned Portuguese champions are looking for European success also, with a semi-final tie against Villarreal in the Europa League coming up next week. The Dragoes exemplary run of form has not gone unnoticed, and Europe’s big clubs are starting to circle; three players have been most publicly touted as being pursued by Europe’s bigger clubs, with Italy or England the most likely destination. Givanildo Vieria de Souza, aka Hulk, is a strong, powerful and abrasive frontman with an eye for goal, and is the Portuguese Primeira Liga top goalscorer with 22 goals and counting. Soon to be Italian champions Milan are reportedly keeping tabs on the Selecao goalgetter, as Massimiliano Allegri looks to add players to his side that can take the goalscoring burden from Zlatan Ibrahimovic’s shoulders. However, the strikers physical attributes would suggest that he has what it takes to be a success in English football, and Tottenham are apparently ready to spend big to capture the proven goalscorer. Countryman and ex-Porto player Anderson has publicly stated that the 24 year old striker would be an excellent addition at Manchester United also, but the striker is more likely to end up at White Hart Lane. 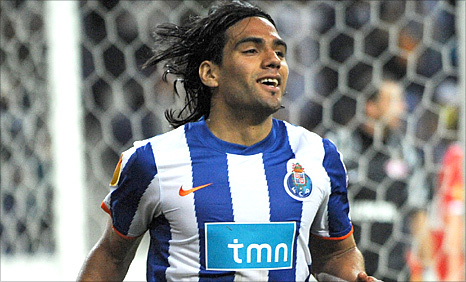 Hulk’s partner in crime is Radamel Falcao, who has scored 12 goals in 12 Europa League games this season. The 25 year old ex-River Plate forward has proved an excellent foil for Hulk, with an explosive burst of pace and finishing ability with both feet; the pair have scored a frightening 55 goals between them this season. Tottenham again have been linked with Falcao, with even a double move for the partnership being reported, but a more likely destination for the Colombian is Inter. The Nerazzurri are looking for a replacement for ageing Diego Milito, and one of the reason’s behind the Milanese club’s poor season is their dependence on Samuel Eto’o for goals. Falcao would complement the existing personnel at the San Siro, but will not come cheap with a fee of around €20 million being asked by his current employers. The Porto rearguard is headed up by towering centre back Rolando, who has been the main reason his side have conceded a measly 18 goals domestically this season. The Cape Verde born Portugal international has made 10 appearances for the national side and has grown under Villas Boas’ tutelage. Both Manchester United and Liverpool have been linked with a summer move for the gifted defender, but Rolando may follow Falcao to Italy, with Juventus being the side most adamant in capturing his signature. The Old Lady of Italian football has struggled to replace Fabio Cannavaro and have been guilty of leaking soft goals this season; Rolando is the type of player to get the Turin club back amongst Europe’s top clubs. Expect an all conquering Porto side to go on and finish the season unbeaten, with European glory a real possibility also. However as with Jose Mourinho’s class of 2004, the vultures will pick off the prize assets from Villas Boas’ team, with the coach himself most likely to follow his talented players out the door.